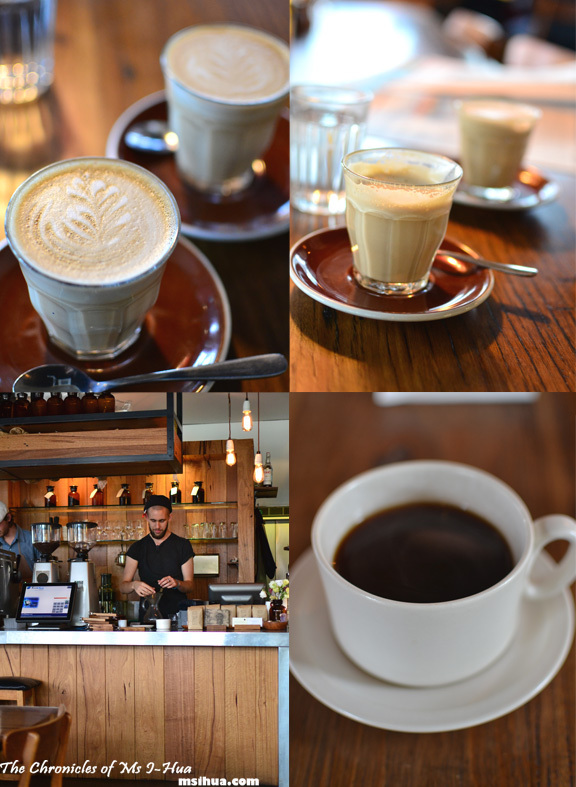 Time for another breakfast round-up around suburban Melbourne. 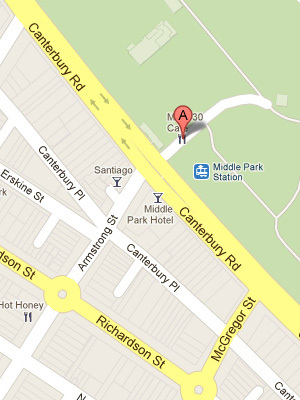 This time, we take a focus on Melbourne’s bayside suburbs in the inner city. The places I’m talking about have quick turnovers, good coffee, awesome food as well as efficient and friendly service. Who are they? These three sure aren’t strangers to the locals and probably needs no introduction from me as you would have come across them from other reads and reviews, however I wanted to share with you a few of my favourite things (cue song and dance from The Sound of Music) such as pork belly, bacon, corn fritters and lamb! First cab off the rank would have to be my favourite. 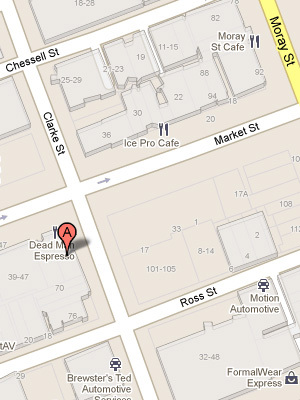 I love Dead Man Espresso for its coffee, location, coffee, decoration and oh yeah, coffee. Indeed that was all I ever did whenever we dropped in for a visit. We had coffee. We always seem to drop by after eating somewhere else, during tea time (afternoon tea, not dinner) with visitors and guests or as a pit stop before heading into the city for errands. I’m not sure why it took us that long to finally realised that we have never properly done a food review here before. I remember having lunch there once, but as neither of us packed the camera, the pictures sit in a forgotten archive of iPhone pictures. The last time we visited DME (acronyms are the way of the future), was when the Boy bundled me into the car early in the morning for a surprise trip to Melbourne Zoo! I love visiting animals and learning more about them. At one stage in my life, I had wanted to be a vet. That got knocked out of my system pretty early on (Asian Parent), which was a pity as I really love animals! The Boy knows this and he secretly plans for surprise visits for me, be at the zoo, aquarium, wildlife sanctuary or even to observe them in the wild natural habitat. I’m marrying the right guy! We had a couple of the house blend lattes from Seven Seeds, a pour-over coffee using Obata (Brazil) beans carrying intense big flavours of sweet sugar cane and port wine with a unique high acidity for Brazillian coffee and finishing off with a take away piccolo for me (told you I needed my fuel). The Boy had the mouth-watering and jaw-hinging BLT – Pork Belly & Spinach Puree on Brioche with a side of Gazpacho ($16.50). When I first had it, I literally had to think about how I could fit it in my gob. It also is one of the most sinful and delicious sandwiches I’ve had to date. The pork belly just melts in your mouth. 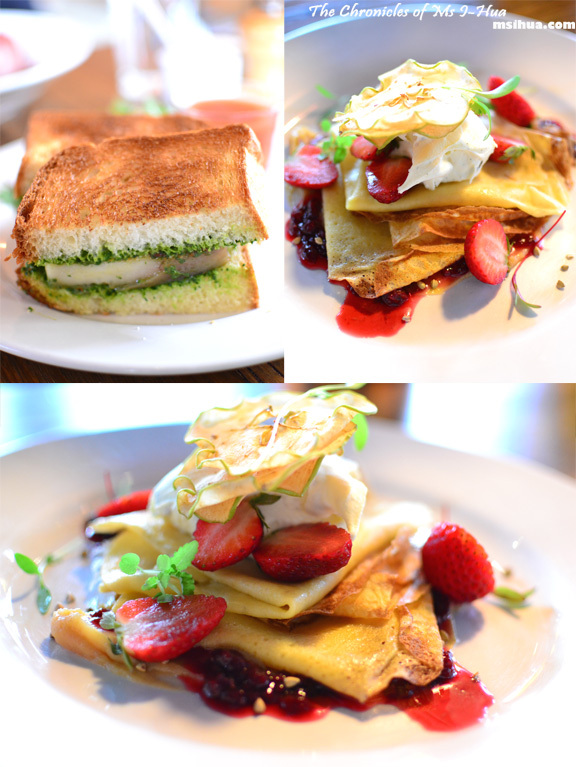 On the morning we were heading to the zoo, I wanted a light breakfast and ordered the Crepes with Candied Apple, Milk Jam & Vanilla Bean Marscarpone. Not something I would order normally, as I am very much a fried/poached eggs and bacon sorta gal, but I needed and wanted something light and sweet that morning. Light, sweet, fluffy colours, and pink unicorns was what came to me as I quietly enjoyed my crepes. They were the lightest crepes I have ever had. All the flavours of apple, milk, macerated berries, fresh strawberries and marscarpone only highlighted how deliciously light the crepes were. I was in crepe heaven. It’s a pity they have taken it off the menu. 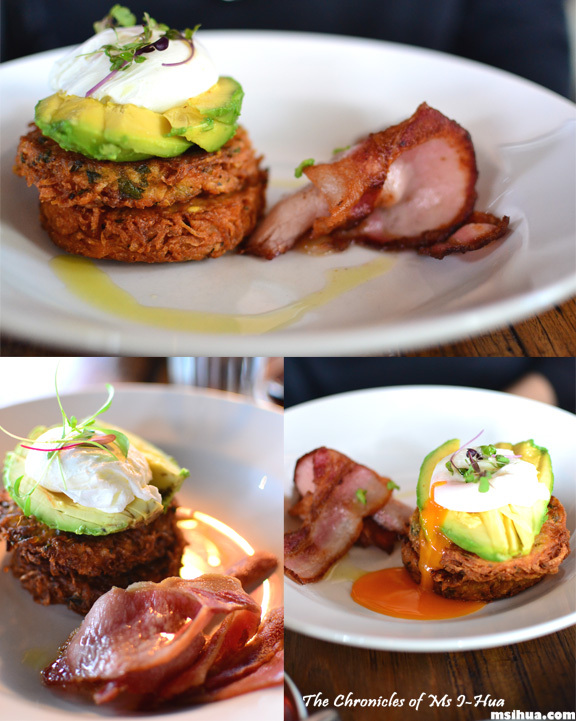 Another item we like from their menu is the Herb & Potato Rosti with Poached Egg, Avocado & Istra Bacon ($18.50). If you are out for some super duper crispy hash browns, DME’s is the place to go for it! 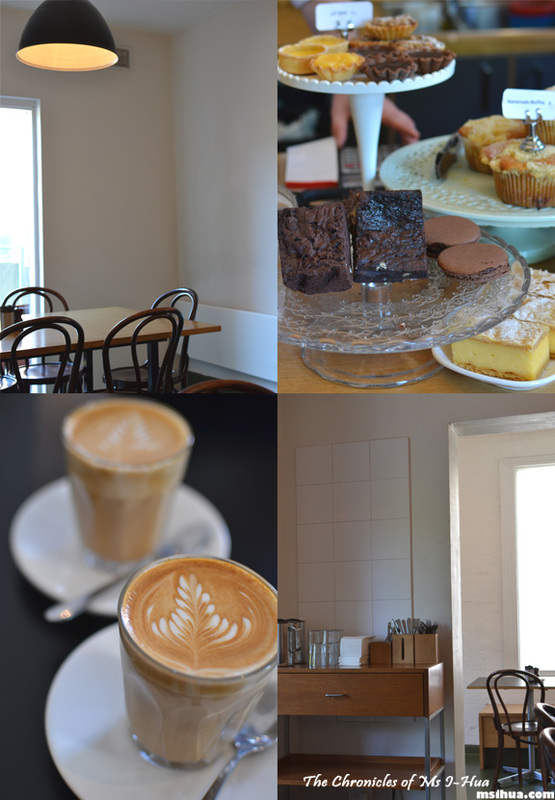 In our quest for finding the right corn fritters, we have journeyed near and far around Melbourne (Coin Laundry, Replete Providore, Monk Bodhi Dharma, Axil Coffee Roasters and Q Eleven). Most recently our quest brought us to Mart 130. It was a very wintry morning and the wait for a table although a short 15 minutes, felt an eternity in the blasting cold winds. We noticed that the tables outside facing the tram tracks, patrons were provided with thick warm blankets to wrap themselves in, in lieu of proper electric heating. 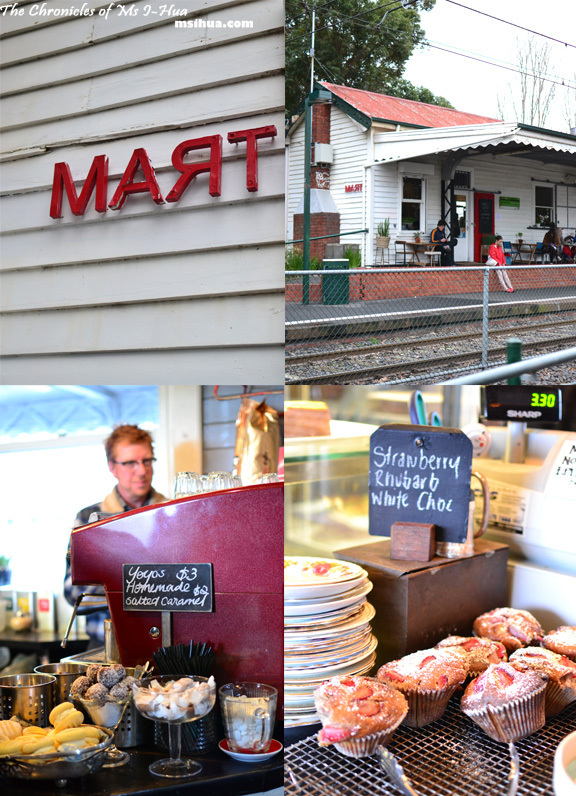 Mart 130 (spells Tram backwards) is the old station master’s building which was converted to this quaint and adorable cafe overlooking Tram Stop 130 on the route No. 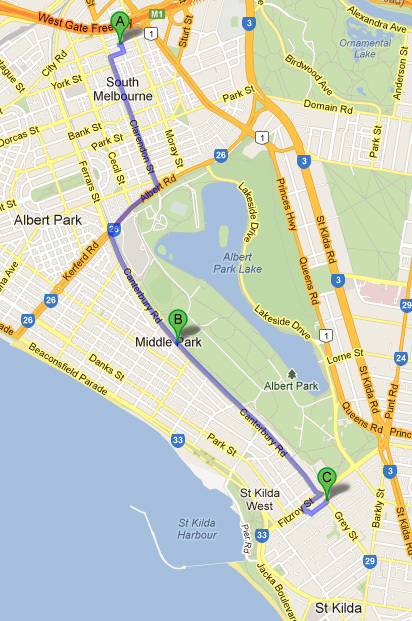 96 to St Kilda. When they finally called our names, we quickly huddled in past the cosy little room, onto the covered patio outside which overlooks the Albert Park sports ground and tennis courts. 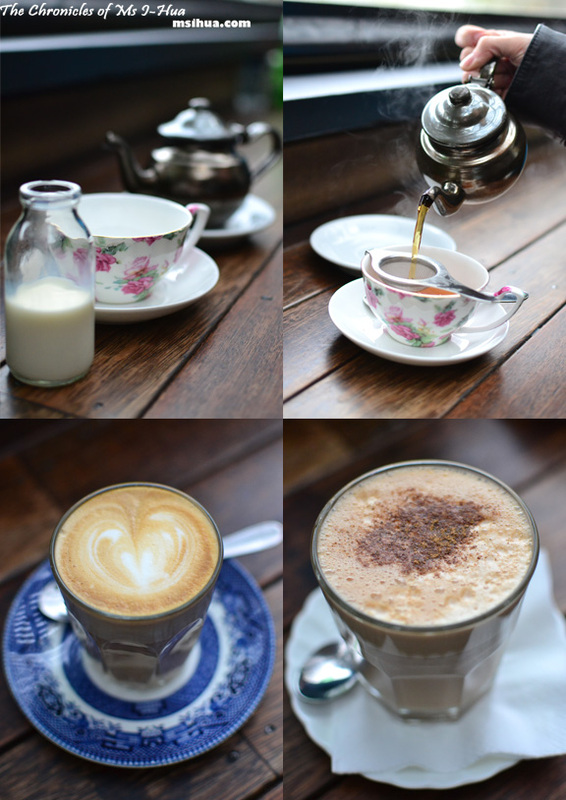 It was cold, oh so cold, so the Boy had an English Breakfast Tea whilst I warmed myself with a Latte & Chai Latte. French Toast ($16.90) made with Organic Brioche served with Grilled Bacon & Maple Syrup. 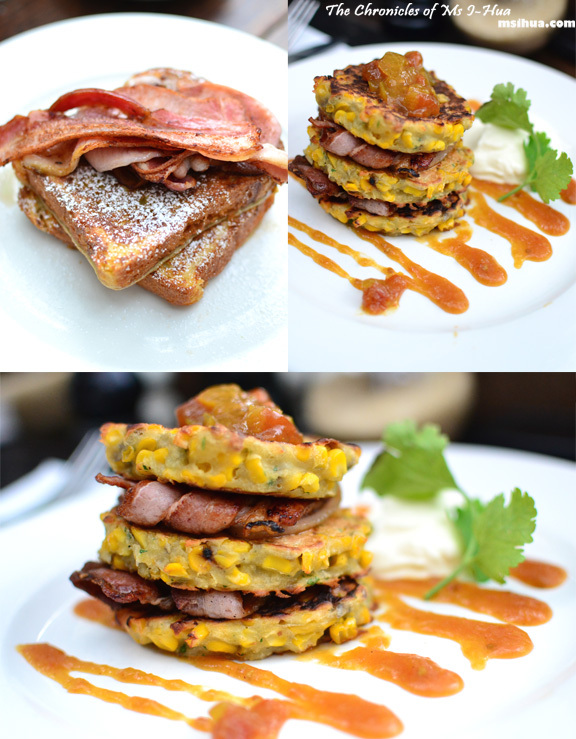 Oven Roasted Corn Fritters ($17.90) with Grilled Bacon, Tomato Relish, Sour Cream & Coriander. The Boy went with the French Toast which was fluffy and airy, which was to be expected as it was a brioche. He mentioned that the maple syrup was delicious and when we looked at the bottle, we were happy to note that it was the real 100% Canadian maple syrup and not the watered down versions you find in most places. That OUTKAST song plays in my head every single time someone mentions Miss Jackson. 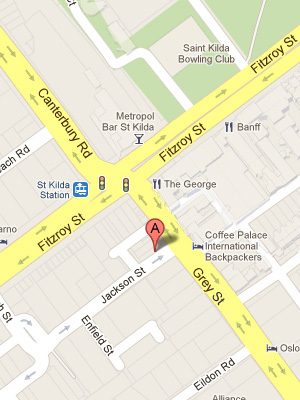 Named after the side street which it is tucked on, Jackson Street, this missy ain’t needing apologies from anyone. I was surprised that on the day the Boy and I visited, it was fairly empty bar two other tables. We were relatively early for lunch one Saturday so maybe it was just a slow day for the local punters. It is quite hidden away from the main strip of restaurants, bars, tuck shops on Fitzroy Street, which may have accounted for the relatively quiet lunchtime as well. Za’atar Lamb & Quinoa Salad ($16.00) with Chargrilled Eggplant, Zucchini & Yoghurt. 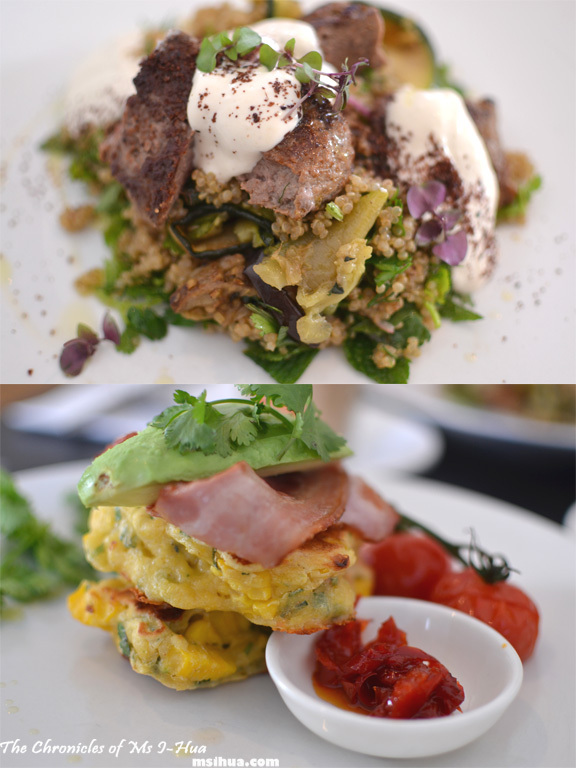 Corn Fritters ($15.00) with Bacon, Avocado, Roasted Vine Tomatoes and Homemade Chilli Jam. I had a very delicious lamb and quinoa salad which I couldn’t go past once I saw it was there on the menu. The quinoa was beautifully cooked and everything went really well with the chargrilled eggplant. For the first time ever, I probably passed on having the corn fritters (as there was lamb to be had!) but I made sure I swayed the Boy towards ordering it so that I could have a taste. The corn fritters were crispy and the chilli jam was awesome. I almost had a moment of greedy food envy which tore me apart as I was enjoying my lamb salad! *sigh* so much #firstworldproblems to be had. I would love to come back to devour the corn fritters on my own next! well i have tried DME and mart 130, so i guess its time to venture to miss jackson! Aah… brunch life… love it! Dead man has to be my favourite local brunch spot to date. That pork belly BLT has never disappointed anyone I recommended it to. It never has disappointed anyone I recommend as well!!! All together on one plate would be even better! I love Mart 130 – it was where I had my first corn fritters, and have loved corn fritters since! 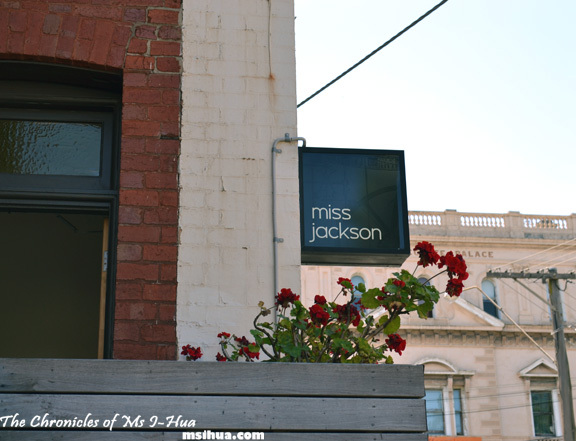 I’ve read so much about both DME and Miss Jackson, and have always wanted to visit… I just need to find the time to do so and stop returning to the same brekkie place all the time. 😛 Yeah boring like that! You must you must head to DME and Miss J! I can’t believe you haven’t done so! GO GO GO! I am yet to try all three of them. sigh. 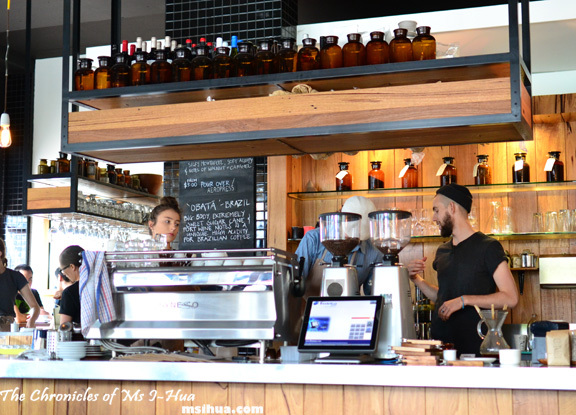 too many cafes in melbourne! Mart corn fritters are the best. Awaiting to taste a better one still. Brunch is the best meal of the week. You’re so lucky to have so many lovely choices! OMG Gazzie stole a whole corn fritter from you? He’s lucky he didn’t lose a hand! He gave me bacon.. so he was saved! oh man, that DME hash looks goooooooooood. Mine too! The list just goes on and on and on! Thanks for sharing this post. I am very interested in this topic. I would like to share my opinion on this.Whether it is an excessive emergency strive contacting your native animal shelter. They usually have vets on workers and one obtainable twenty 4 hours. It’s possible you’ll determine you do not need to research for four extra years and be lots of of 1000’s of dollars in debt. So, simply in case this occurs that you must have a level that you should utilize and like.